Partial Hospitalization Program: What is It and is It Right for You? Addiction Rehabilitation at Windward Way Recovery Center > Drug Rehab > What is a Partial Hospitalization Program? Drug addiction is a complex disorder that requires customized, tailored treatment for each patient. As such, there are many different types of drug treatment programs available for patients who need a variety of therapeutic methods to achieve and maintain sobriety. Patients can attend inpatient or outpatient programs, and no single application will look the same from one patient to the next. When it comes to successfully treating drug or alcohol addiction, doctors will assess patients on an individual basis, and in some cases, doctors may recommend a partial hospitalization program for addiction treatment. How does a partial hospitalization program (PHP) differ from other forms of rehab? A PHP is a form of outpatient treatment. 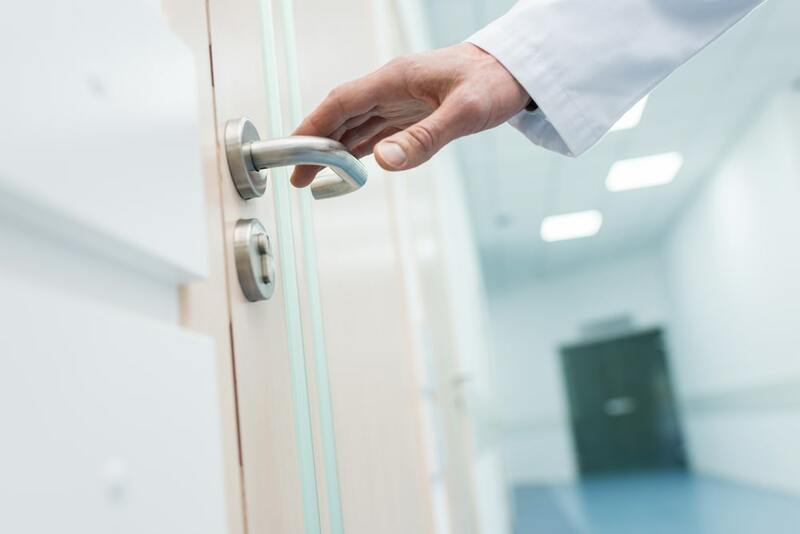 Usually, patients who are not severely addicted to drugs or alcohol will only need outpatient treatment rehab, which is less intense and disruptive to a patient’s everyday living than an inpatient treatment program. The problem is, many patients with severe addiction cannot attend inpatient rehab, which might be more suitable and effective for their condition. A PHP is a somewhat more intensive outpatient program for patients with more severe addiction, who can’t attend inpatient rehab. People with caregiving responsibilities are least likely to be able to attend inpatient rehab, even if the treatment would be better suited to their needs. But a PHP can offer the patient a higher level of care than a standard outpatient treatment model. A patient in a PHP has access to a comprehensive treatment service that includes medical monitoring during the day, but they do not have to stay overnight at the facility. This is often the ideal situation for parents seeking treatment for addiction. What is often included in a standard PHP program? Sometimes, PHPs are called day treatment programs, and they offer similar treatments that a patient would find in most outpatient programs. PHPs typically include group counseling, one-on-one therapy, and access to a team of medical doctors, and nutrition specialists. Usually, a patient will attend a PHP for up to five days per week, and for anywhere from four to six hours every day. They will still be able to live at home while participating in the program. Most outpatient programs only require patients to participate in treatment for ten to twelve hours per week, where a PHP would be for up to thirty hours per week. While a patient can immediately attend a PHP as their initial phase of recovery, PHPs are often step-down programs that patients attend after they complete inpatient rehab. Usually, recovery from drug abuse and addiction takes place on a spectrum, where after initial detox, a patient can go to inpatient rehab for months at a time before transitioning to either a PHP or outpatient treatment. But again, the steps and treatment programs for successful recovery from addiction will look different for every patient, and there is no one-size-fits-all approach to achieving and maintaining sobriety. The most successful treatment plans account for a patient’s medical needs and their life circumstances. Who is a good candidate for a PHP program? Patients who need more supervision than can be provided in an outpatient program, but who require less intensive treatment protocols than inpatient treatment offers are good candidates for PHPs. Sometimes, patients who need more intense supervision, but can’t live at an onsite rehab center will make ideal candidates for PHP programs. Women often face barriers to inpatient treatment programs because they’re often primary caregivers to minor children and sometimes disabled or elderly adult relatives. Women with severe addictions to drugs and alcohol may benefit from a partial hospitalization program while their children are at school or an elderly parent is at home with a part-time caregiver. Patients with mild to moderate withdrawal symptoms. Having a stable job, transportation, and living arrangements outside of rehab. Patients who require close supervision that cannot be found in most outpatient models. Patients with strong support networks outside of rehab and therapy. People who would be negatively impacted at work or school if they attended inpatient rehab. How long does a partial hospitalization program last? Overall, it depends on the patient, and there is no set duration for how long a treatment program will last. Patients can attend PHP anywhere from as little as three days a week, or up to five days per week. Sessions can range from four hours to six hours, and the program can last for a couple of weeks to a few months before a patient can transition to less intensive outpatient treatment plans. During PHP, patients will go through detox, and they may need to take medications for a period to lessen or eliminate drug cravings and other withdrawal side effects. The timeline for withdrawal will vary for every patient and depends on a multitude of factors, including their age, metabolic rate, the severity of addiction, and their overall mental and physical health. After detox, patients have access to a team of doctors and therapists who can address and alleviate the symptoms of depression, anxiety, and substance abuse. PHPs help patients manage their cravings, emotional distress, and give them tools to improve their relationships and maintain sober living outside of rehab. PHPs have become increasingly popular methods of treatment for addiction, and the National Association of Psychiatric Health Systems finds PHPs a critical component in improving patient’s mental and emotional health, which is crucial for achieving and maintaining sobriety. Are you or a loved one struggling with drug addiction or a dual diagnosis? Rehab and therapy can help you achieve and maintain sobriety. No matter how severe or mild your addiction is, and regardless of your circumstances, a treatment plan can be tailored to your needs. Please contact the mental health professionals and addiction specialists at Windward Way today. Together, we’ll create a treatment plan that’s tailored to you.